Battlefield 4 Launches "Community Test Environment"
The latest in a long line of attempts to battle the bugs and issues that still plague DICE's shooter. Battlefield 4 has been plagued with issues for a significant number of users ever since it launched, and DICE has seemingly had trouble keeping up with and resolving all the problems. Its newest initiative to help fix some of the game's most egregious problems comes in the form of the new "Community Test Environment" -- an MMO-style beta server that will allow community members to voluntarily test out new game features in the hope that they can be implemented into the game proper. Chief among the issues that DICE hopes to resolve with the new system is the game's netcode, which handles important aspects of the gameplay such as player-to-player interactions and damage detection. Given that Battlefield 4 is primarily an online multiplayer game, this is something that the company really needs to get right. Of course, given that Battlefield 4 came out last October, it's fair to say that this side of things should probably have been fixed and optimized already -- preferably before the game was released -- but at least DICE is making continual efforts to improve the experience for those who are still playing and willing to put up with the issues they might encounter. 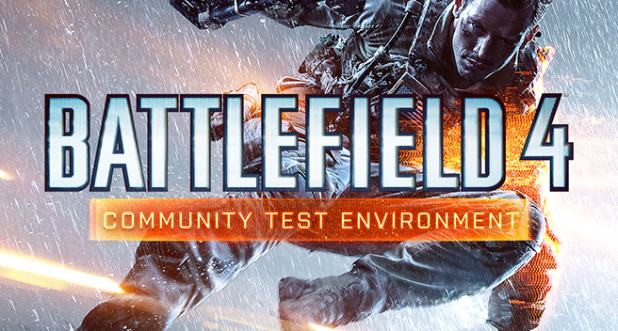 The Community Test Environment will initially be limited to PC players with a Battlefield Premium account -- that's right, your subscription is now allowing you the privilege of being part of DICE's quality assurance department -- but the company believes that the things learned using the system will be applicable across all platforms. You'll have to download a whole new game client and connect to a server infrastructure specifically set aside for testing purposes. Find out more about the program via this blog post, which explains how to get involved if you're interested. Tagged with dice,	Electronic Arts,	News,	PC,	PlayStation 3,	PlayStation 4,	PlayStation3,	PlayStation4,	Xbox 360,	Xbox One. While you're waiting for Battlefield 5, EA DICE wants you to enjoy its predecessors.